One of the largest selections of jewellery, watches and giftware from one of Britain’s biggest high street jewellers. 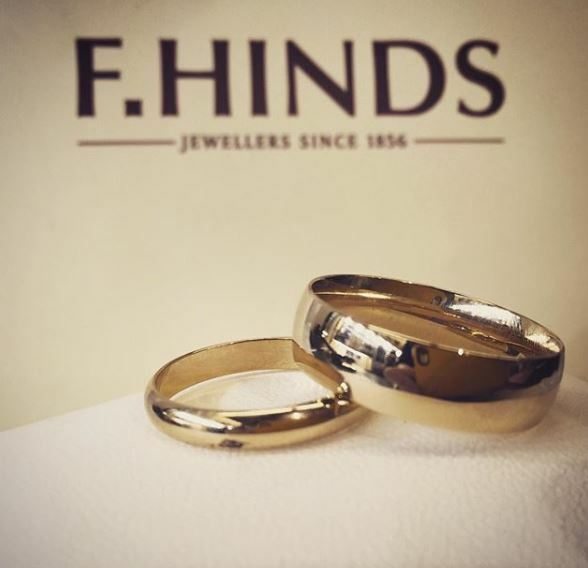 Established in 1856, F. Hinds’ stores can be found across the length and breadth of England and Wales. Visitors will find an extensive selection of gold, diamond, and gemstone jewellery, engagement and wedding/commitment rings – every certificated diamond is individually hand selected creating very personal, very special rings – plus watches, clocks, collectables, giftware, porcelain and numerous associated services, alongside an unparalleled reputation for customer service. For store information and opening times, visit www.fhinds.co.uk and click on the Store Locator tab.